Fendt is the leading high-tech brand for customers with the highest demands and is considered to be the world’s innovation leader for agricultural machinery in many areas. Fendt customers profit faster than others from the newest technology for boosting performance, efficiency, and profitability of their farm businesses. 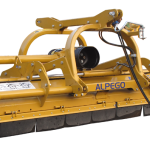 Alpego offers a complete line of power harrows, subsoilers, rotary tillers, flail mowers and combination seed-drills. 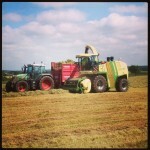 Krone UK is an industry leader in Hay and forage equipment. 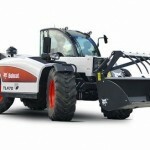 The BiG X is a Krone product that is presently one ofthe world’s most powerful farming machines. This KRONE forage harvester impresses both by its shear engine power but also by its nearly legendary quality of chop, which is the achievement of the innovative technology that hides underneath the panels. Efco high performance lawnmowers, garden tractors, brushcutters, hedgecutters, chainsaws, blowers and more. 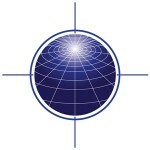 Dairymaster is a world leader in milking equipment manufacturing. The secret of Dairymaster’s world-wide success is the company’s unfaltering commitment to ongoing research and development in the milking equipment sector; pioneering advances in such areas as milking parlour equipment, automatic scrapers, automatic cow feeding systems and farm management computer packages. Mud Hog hydraulic rear-wheel drive systems provide self-propelled, front-wheel drive farming equipment with four-wheel drive technology. 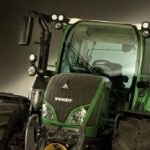 Manufactured to suit most makes and models of Combine and Forage Harvesters. 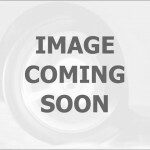 Established in 1987 Hudson Trailers manufactures over forty different variations of trailers. These include livestock, plant, tippers, flatbed, general purpose, beavertail, box trailers and horseboxes. Abbey Machinery is Irelands largest and longest established manufacturer of agricultural machinery. Established in 1947 Abbey produces high quality and reliable farm machinery, with the best possible results in the most cost effective manner. 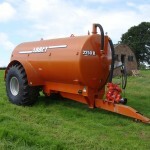 Choose from a large equipment range including slurry tankers, vertical mixers, grass toppers, fertilizer spreaders and more. 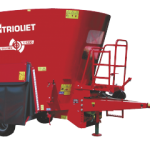 Shelbourne Reynolds are designers and manufacturers of innovative agricultural equipment including livestock and groundcare machinery. Patchwork provides customised and off-the-shelf GPS systems for farmers, contractors and service providers. Our cutting-edge farming technology brings cost savings and productivity gains through the sophisticated use of GPS in agriculture. 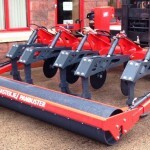 Soilmate is a Mastek sub-soiler product.The concept is to use a round, spring-loaded disc to cut the field which is followed by a strong leg, that can reach a depth of 18”. This lifts the sod and shatters the soil structure. The top surface is then levelled with a packer.